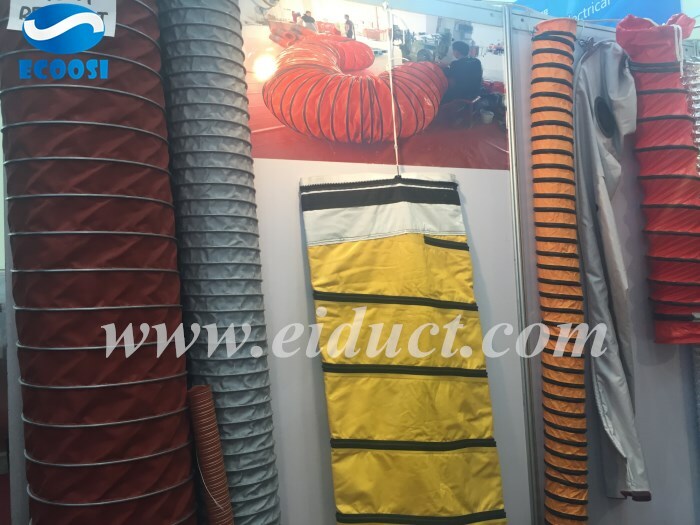 Ecoosi flexible ducting hose - Flexible Ventilation Fan Ducting hose is a high quality air ventilation duct hose for applications that involve air movement. 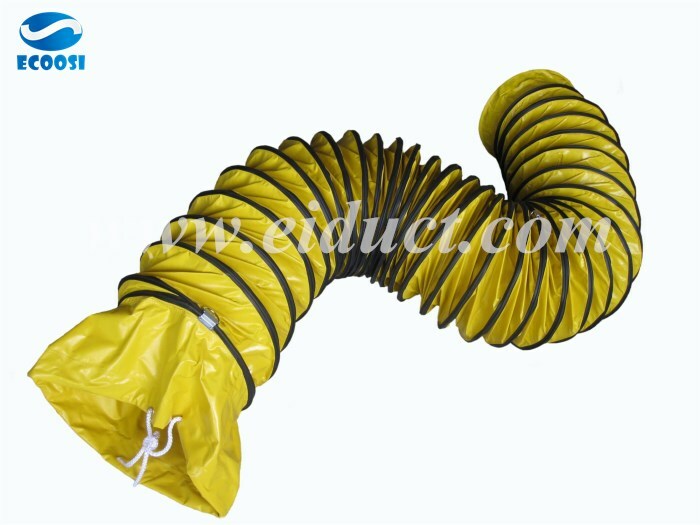 The Portable flexible duct hose are produced from polyester fabric that is coated with PVC vinyl. The body of this flexible air duct hose is reinforced by a spring steel wire helix. Its helix is made to provide the flexible ducting with an enhanced physical frame. In addition to the protection of the wire helix, its external section of the hose is protected by a wear-strip. If your application involves this air ventilation duct being dragged across the ground or other surfaces, this wear-strip will guard the body of the hose from most physical abrasions. Ecoosi's Flexible Ducting hose is specifically made for transferring air. 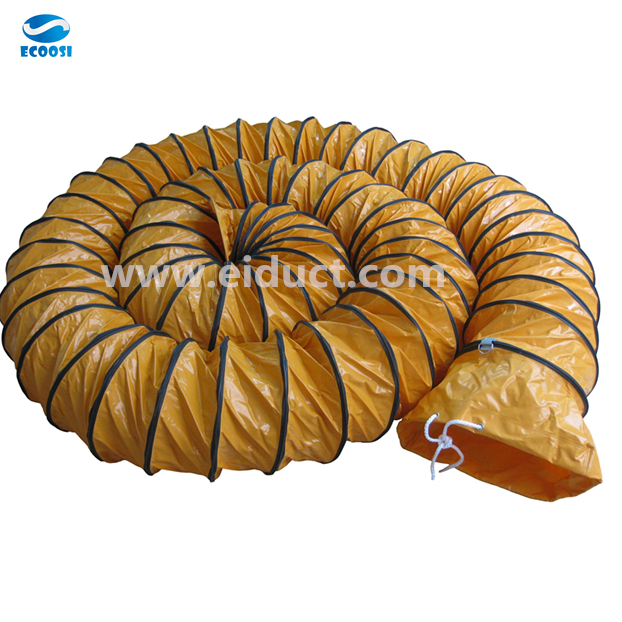 In addition to general air ventilation, its can be used as air conditioner hoses for portable AC, duct cleaning, and more. 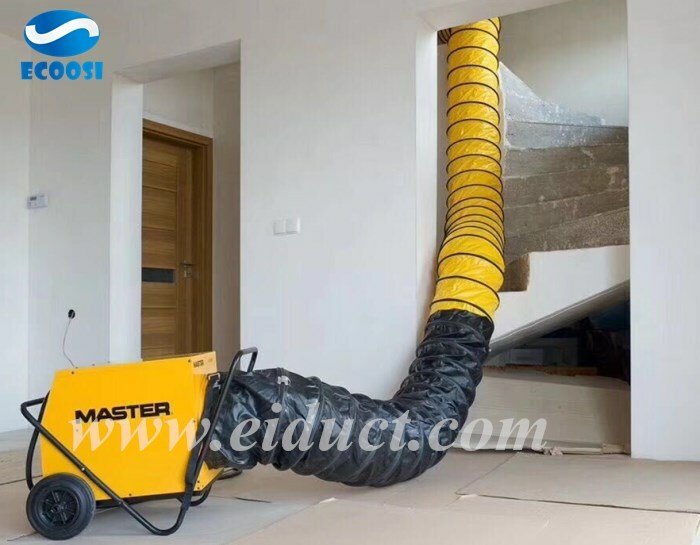 The flexible air duct hose has a working temperature range of -20 to 80 degrees Celsius , which makes it perfectly suitable for transferring both cold and hot air. 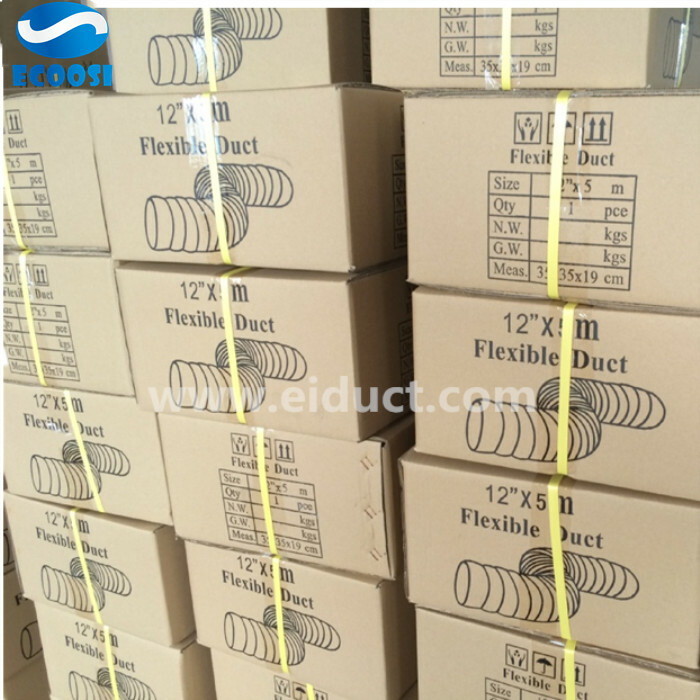 Ecoosi's Flexible Ducting ventilation duct hose is available in a variety of ID sizes from 100 mm to 1000 mm. 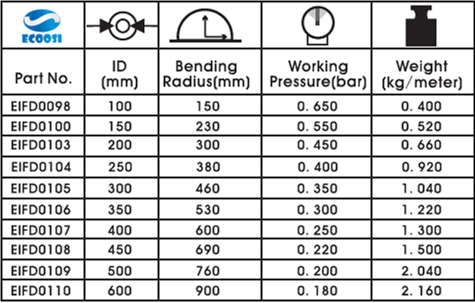 Its are among the most popular ID sizes for an air duct hose and its gives the end user a greater number of options to choose for their specific application. This air conditioner hose are produced in standard lengths of 10 meter. Despite the great length of the hose, it is a highly compressible hose. It has a compression rate of 9:1 across all ID sizes.